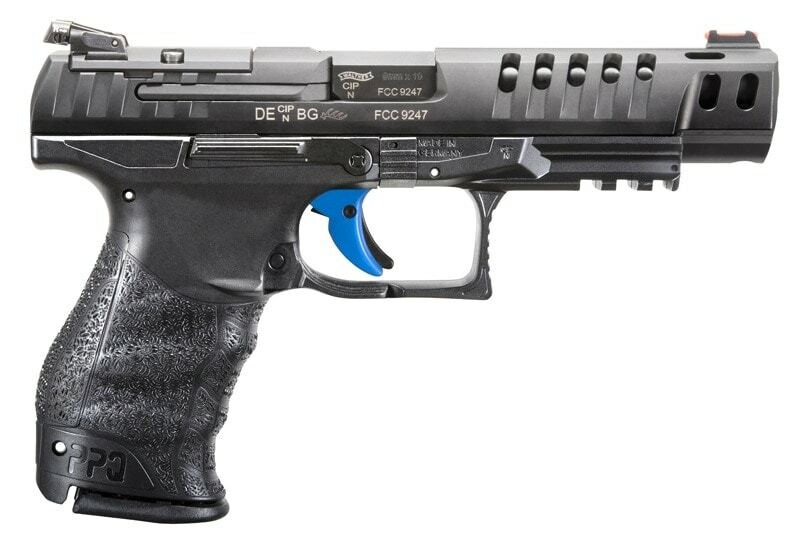 Arkansas-based Walther Arms said they are responding to calls for adding the legacy paddle magazine release to their new PPQ Q4 and Q5 Match pistols and unveiled the M1 series. The guns will have the same standard specs as their M2 counterparts, save for swapping out the push button magazine release with the fully ambidextrous paddle, a feature that dates to Horst Wesp’s Walther P99 of the mid-1990s. 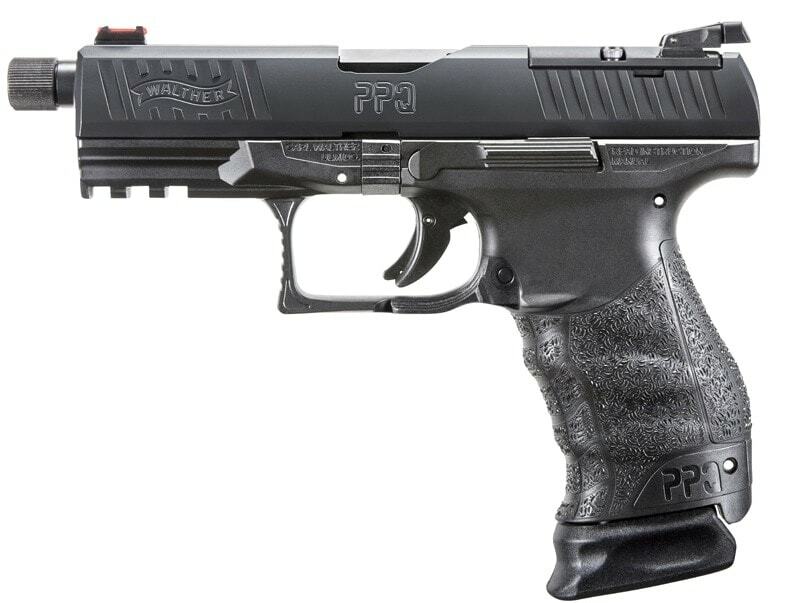 The PPQ Q4 TAC includes an optic-ready slide with standard LPA competition irons and mounting plates for common optics. With a 4.6-inch threaded barrel and 5.6-pound trigger pull, the 15+1 9mm also sports an accessory rail and interchangeable back straps. Besides the now ambi paddle mag release, the PPQ Q4 TAC M1 also has an ambi slide stop. Retail is $799. Like the PPQ Q4, the optic-cut Q5 Match also sports a pic rail, adjustable rear target sights, Walther’s 5.6-pound Quick Defense trigger, and an ambi slide stop. Tenifer coated with a matte finish and polymer frame, it has a 5-inch barrel. The Q5 Match M1 comes with a Trijicon RMR, Leupold Delta Point, and Docter optics mounting plate in as well as the “throwback” paddle mag release. MSRP is $899.